Joe Bonamassa can be safely filed in the “force of nature” category. Thirty years ago, he was a 12-year-old guitar prodigy who once opened for B.B. King. 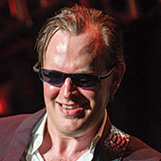 While youthful players like this rarely grow into mature artists, Bonamassa proved the exception – his playing got faster and more-refined, while he also grew into a surprisingly powerful vocalist. By the time he launched a solo career, JB was a blues-rocker with soul, stunning chops, and a polished frontman persona. Find all the details in the 2018 VG Readers’ Choice Awards. 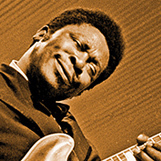 George “Buddy” Guy was born the son of a sharecropper in Lettsworth, Louisiana, and learned to play on a “guitar” he made at age seven using wires he’d pulled from a screen door and attached to a can. So, the Harmony acoustic he got afterward – a beginner instrument for most – was a big step up. Find all the details in the 2017 VG Readers’ Choice Awards. 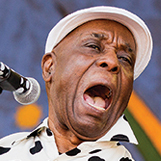 Old-school genres like the blues are about tradition – make an album every couple/three years, tour, take a break. 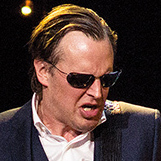 Joe Bonamassa don’t play that. Find all the details in the 2016 VG Readers’ Choice Awards. When B.B. 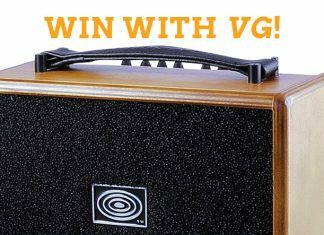 King passed in May of 2015, VG fielded an unprecedented volume of correspondence from guitarists of all ilks and points in the hierarchy. Their reverence was obvious and well-stated. Find all the details in the 2015 VG Readers’ Choice Awards.